Tucked into the southwest corner of Arizona, Yuma is one of those towns you just can’t get enough of, no matter what time of year. The Colorado River runs along the north and west side of town, serving as the border between Arizona and California. It’s also just seven miles from the Mexican border. Blessed with 11 hours a day of sunlight (they even hold the Guinness World Record as the “Sunniest City On Earth”), Yuma features 11 golf courses and plenty of parks to accommodate RVs of all sizes. 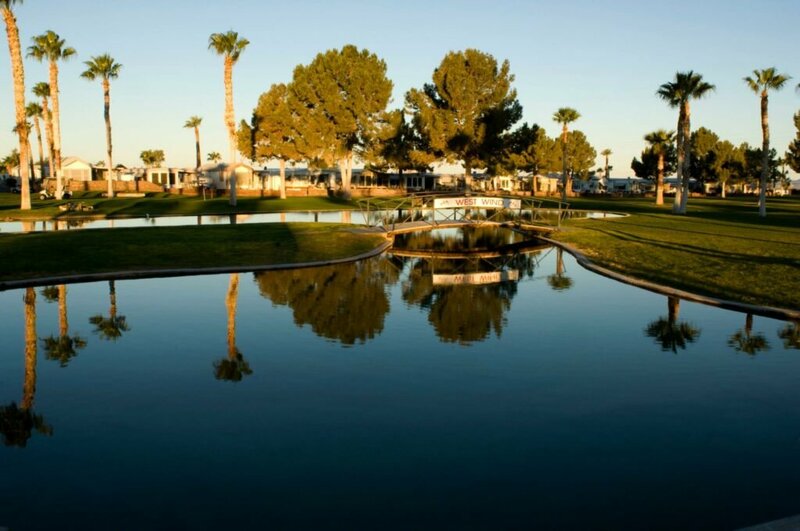 One resort that offers the best of both worlds is Westwind RV & Golf Resort. Featuring 1,075 sites, this pet-friendly resort offers full hook-ups, restrooms, showers, WiFi, a swimming pool, recreation room, and a gym with workout facilities. There are also park models to rent for a day, week, or month. Centrally located in the heart of the community is the Administration and Activity Building. This area includes the Cactus Café and Cheers Lounge, which features a full-service bar. There’s also a pro shop, library, ballroom, and three deluxe laundry and restroom facilities. In case you don’t know what to do or how to do it, an on-site activities director is available to assist. Given the plethora of activities available, there’s bound to be something for everyone. Throughout the year, Westwind RV & Golf Resort features more than a hundred planned activities and amenities. Many visitors love to hit the links on the nine-hole executive Westwind Golf Course. The par 27 course stretches to 1,206 yards and is nestled in a peaceful setting with ponds, mountain views, and beautiful greens and fairways. The longest hole is the par 3, 7th that stretches to 184 yards. From November through March, golfers enjoy a variety of leagues, with the annual Westwind Golf Tournament held in March. 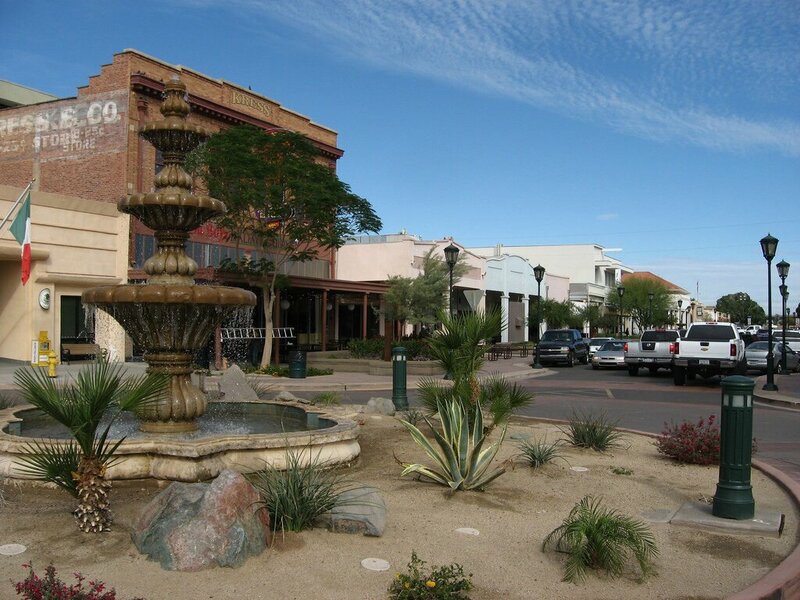 Venturing outside the resort, many visitors step across the border into the Mexican town of Los Algodones, a must-visit for not only the cultural experience but shopping as well. Many snowbirds visit this small Mexican town for dental work or prescriptions. Buying souvenirs and enjoying inexpensive but good Mexican food is also a highlight in Algodones. Potent but tasty Margaritas are always a favorite of the many Canadian and American visitors who flock to Yuma each year. 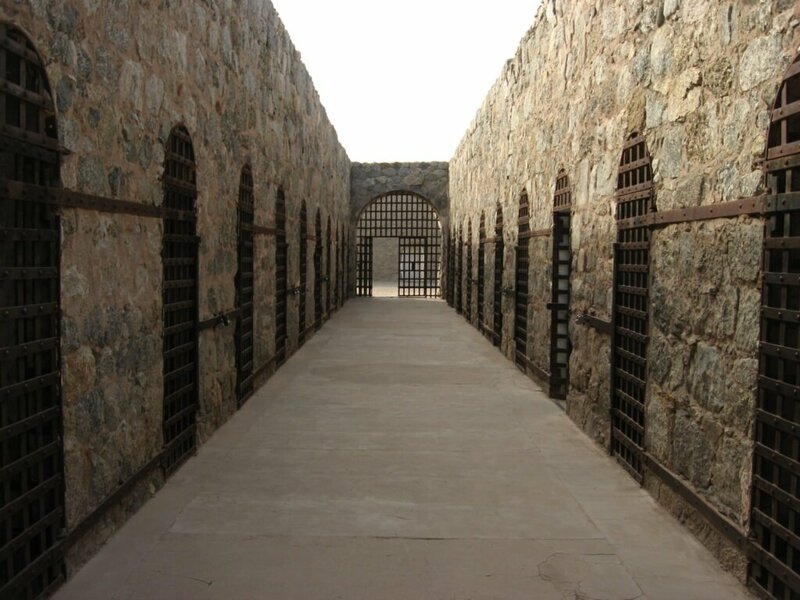 Though you can drive your car into Mexico, it’s suggested that you simply walk across the border, which is open from 8 a.m. till 10 p.m.
You can’t escape from Yuma without exploring the Territorial Prison State Historic Park. On July 1, 1876, the first seven inmates entered the Territorial Prison at Yuma and were locked into the new cells they had built themselves. Thus began the legend of the Yuma Territorial Prison, where a total of 3,069 prisoners lived within the walls during the prison’s 33 years of operation. Today, only remnants of this historic prison remain where you can see photographs of some of the prisoners and get a feel for frontier justice. To appreciate all that Mother Nature has to offer, spend some time absorbing the sights and sounds of the Imperial National Wildlife Refuge. The expanse of the refuge encompasses 25,768 acres and protects 30 miles of wildlife habitat along the lower Colorado River. Though situated in the Sonoran desert, ironically, the Imperial National Wildlife Refuge was established in 1941 to protect wetlands. Ducks, geese, and marsh birds flock to the lower Colorado River each year to spend the winter when wetland wildlife is most abundant. During the summer months, look for permanent residents such as great egrets and muskrat. It’s like a never-ending tapestry of nature. Martha’s Gardens Medjool Date Farm is another popular stop for visitors. Date shakes are a must, as is a tour of the gardens. When stopping at the Yuma visitor’s center, be sure to visit the nearby Yuma Quartermaster Depot State Historic Park. If you like history, this will give you an overview of the important role the depot played in the taming of the West during the 1800s. For more information on Yuma, Arizona, visit the Yuma Visitors Bureau. You can also read more about Westwind RV and Golf Resort on Campground Reviews.